A special thanks to John Irvine who gave a timely and informative brief about the art and science of Digital Forensics Analysis and Cyber Profiling. The presentation can be downloaded here: CrucialBrief02Nov10.pdf. Click image below to see more pictures from the event. John joined Crucial Security (now a wholly-owned subsidiary of the Harris Corporation) in April 2006 as the Director of Technical Analysis, wherein he manages the daily operations of a top-rated staff of computer forensic examiners, software reverse engineers, and other analytical specialists. A senior computer forensic examiner himself with over thirteen years of experience in the field, John has performed digital forensic analysis as both a contractor and a Federal employee for the FBI, CIA, and DEA. While he specializes in counterterrorism computer forensics, he also has considerable experience in criminal, counternarcotics, counterintelligence, and computer intrusion digital forensic cases. A Northern Virginia native, John earned his Bachelor’s Degree in Management, his Master’s Degree in Information Systems, and his Graduate Certificate in Software Systems Engineering from George Mason University. 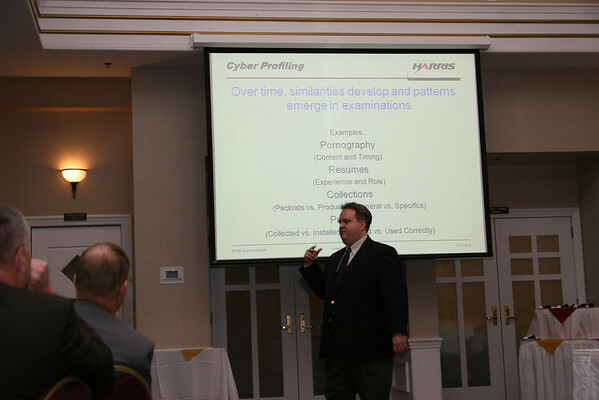 Additionally, John holds the “Certified Forensic Computer Examiner” (CFCE) and the “EnCase Certified Examiner” (EnCE) industry-recognized certifications.